In stock -This product will ship today if ordered within the next 9 hours and 4 minutes. 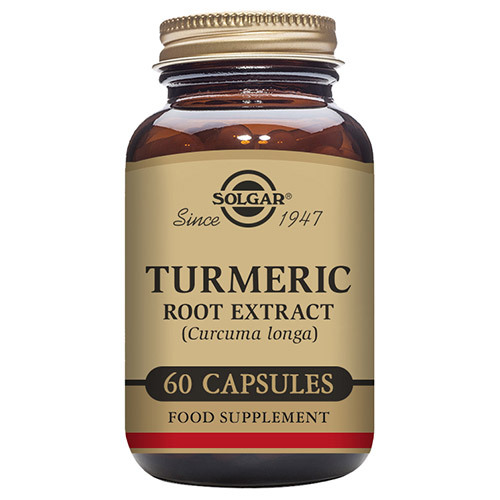 Solgar® Turmeric Root Extract - more than just a culinary ingredient, this bright yellow spice also boasts several health-boosting properties. 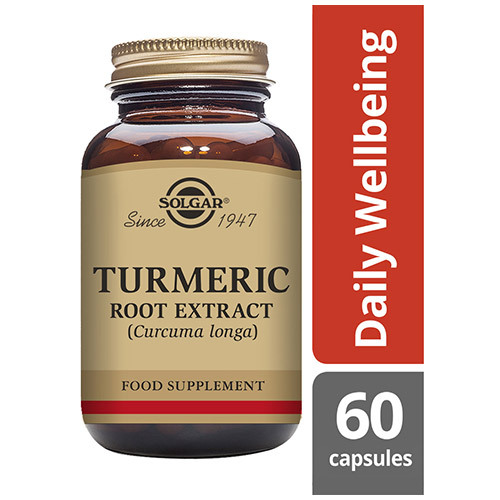 Solgar’s Turmeric Root extract contains a standardised dose, meaning you can be assured of a consistent dose of the active ingredient curcumin in every capsule. The active ingredients in turmeric include beneficial flavonoids called curcuminoids, which are plant-based antioxidants. They help fight cell damaging free radicals in the body. 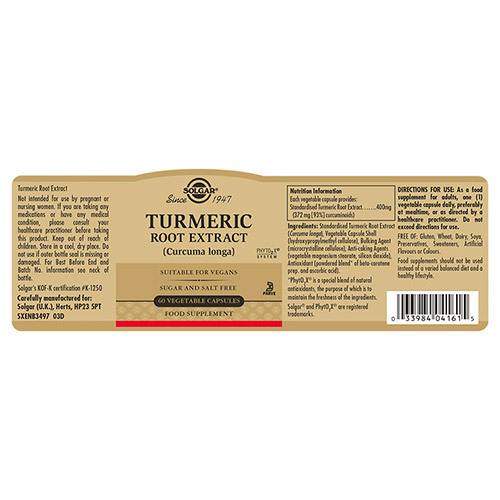 Native to South East Asia, turmeric is part of the ginger family, with a long history of traditional Ayurvedic use. 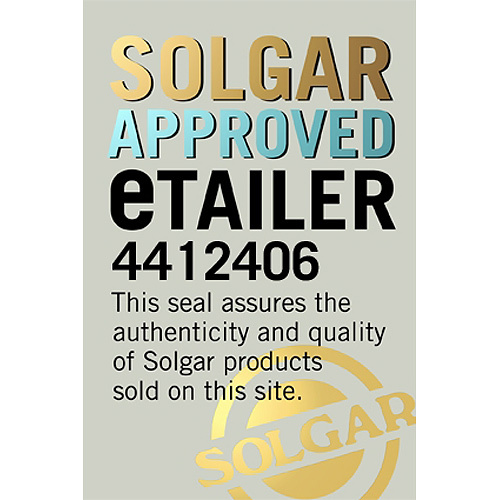 All Solgar® products meet our industry recognised “Gold Standard” for excellence. Made using only naturally sourced ingredients and innovating since 1947, Solgar® is your perfect supplement to good health - 98% of Solgar® consumers recommend the brand. Also contains: Vegetable Capsule Shell (hypromellose cellulose), Anti-caking Agents: vegetable magnesium stearate, silicon dioxide, Antioxidant (powdered blend of beta-carotene prep. and ascorbic acid). As a food supplement for adults take one vegicap preferably at mealtime, or as directed by a healthcare practitioner. 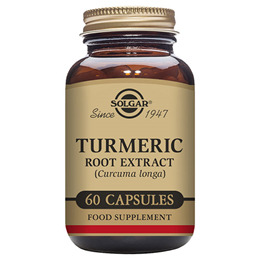 Below are reviews of Solgar Turmeric Root Extract - 60 Vegicaps by bodykind customers. If you have tried this product we'd love to hear what you think so please leave a review. Has definitely helped with a painful knee problem. Would highly recommend. Perfect. Price a tad too high.